Vicenza is located in Italy’s Veneto region. Vicenza is a lovely town to visit with a beautiful town center and attractive villas and viewpoints in the hills a short distance away. 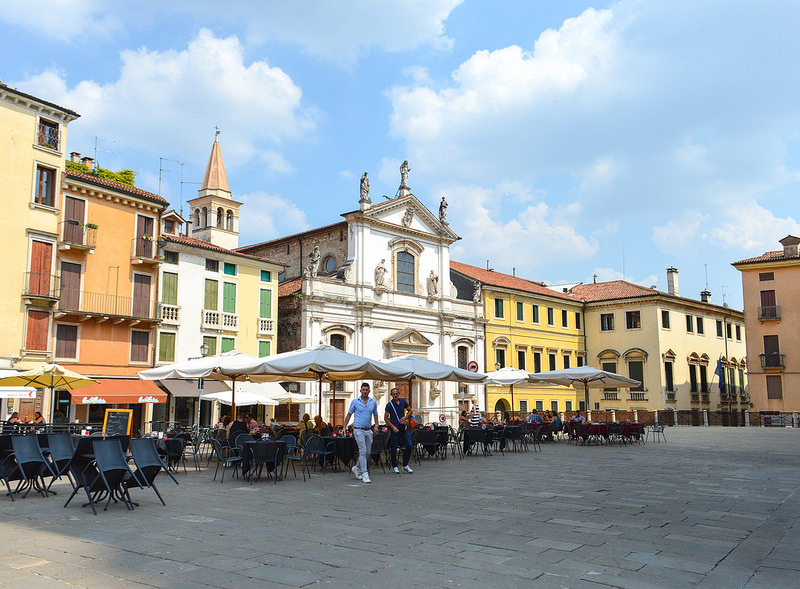 We’ve chosen this specific area for 7 nights because from there, it is easy to visit the North of Italy on your own or by taking excursions to Venice, Mestre, Verona, Padova etc. Montecatini Terme is located in the Tuscany region and is the biggest spa-town in Italy. A 10- night stay is perfect for travelers who want to see the city’s amenities and to take short trips to the nearby cities such as Lucca, Florence, Pisa, or Siena… all easily reachable by bus or by train. Also the spas, the golf clubs, the funicular , markets, theatres, many restaurants and night clubs contribute in making this a wonderful vacation experience. Concerts, fairs, ballrooms, art exhibitions and festivals attract both the locals and the tourists. Rome, the Eternal City has so much to offer: monuments, museums, excursions to the north or south, the Vatican, the Coliseum, its food and great shopping. Enjoy 4 nights to see everything you ever wished to see of this beautiful city. Photos used under Creative Commons from Francisco Anzola, Mal B, pom'.